﻿ BAE And EADS End Merger Talks Good News For Aerospace Giant The Boeing Co.
October 11, 2012 - In a deal that would have made BAE And EADS the largest aerospace manufacture collapsed on Wednesday when the two companies called off talks. Following the announcements made by BAE Systems and EADS on September 12, 2012 in relation to a possible combination of their businesses through a dual listed company structure, BAE Systems and EADS announce that they have decided to terminate their discussions. BAE Systems and EADS believe that the merger was based on sound industrial logic. It represented a unique opportunity to create a combination from two strong and successful companies greater than the sum of the parts. The merger would have produced a combined business that would have been a technology leader and a greater force for competition and growth across both the commercial aerospace and defense sectors and which would have delivered tangible benefits to all stakeholders. Discussions with the relevant governments had not reached a point where both companies could fully disclose the benefits and detailed business case for this merger. BAE Systems and EADS are, however, confident that these would have provided a strong case to take to their shareholders. As between themselves, BAE Systems and EADS had agreed the principal terms of the merger, subject to the approval of their respective Boards, including the commercial terms of the merger, the legal structure of the merger, governance arrangements which would enable the combined business to operate in a normal commercial manner, a unified management and Board structure, the strategy for the combined business, near-term dividend policy and the cost saving and revenue benefits of the combination and associated implementation plan. From the outset of discussions between the parties, both BAE Systems and EADS were clear that they would proceed with a merger of their businesses only if a transaction structure could be created that aligned the interests of the parties' stakeholders and received their support. BAE Systems and EADS worked constructively to deliver such a structure. Notwithstanding a great deal of constructive and professional engagement with the respective governments over recent weeks, it has become clear that the interests of the parties' government stakeholders cannot be adequately reconciled with each other or with the objectives that BAE Systems and EADS established for the merger. BAE Systems and EADS have therefore decided it is in the best interests of their companies and shareholders to terminate the discussions and to continue to focus on delivering their respective strategies. Ian King, Chief Executive of BAE Systems, today said "We are obviously disappointed that we were unable to reach an acceptable agreement with our various government stakeholders. We believe the merger presented a unique opportunity for BAE Systems and EADS to combine two world class and complementary businesses to create a world leading aerospace, defense and security group. “However, our business remains strong and financially robust. We continue to see opportunities across our platforms and services offerings and in the various international markets in which we operate. We remain committed to delivering total shareholder value and look to the future with confidence." Tom Enders, Chief Executive of EADS, today said "I'd like to thank everybody who supported us, in particular all the colleagues at BAE Systems and EADS for all their hard work and dedication to this project in recent months. A special thank-you goes to Ian King for his trust and partnership. It is, of course, a pity we didn't succeed but I'm glad we tried. I'm sure there will be other challenges we'll tackle together in the future. EADS will continue on its international growth path and our shareholders can continue to expect profitable growth, excellent liquidity and program execution based on a strong order book." BAE Systems is a British multinational defence, security and aerospace company headquartered in London, United Kingdom and with operations worldwide. It is among the world's largest defence contractors; it ranked as the third-largest based on applicable 2011 revenues. Its largest operations are in the United Kingdom and United States, where its BAE Systems Inc. subsidiary is one of the six largest suppliers to the US Department of Defense. The European Aeronautic Defense and Space Company is a global pan-European aerospace and defence corporation and a leading defence and military contractor worldwide. The group includes Airbus as the leading manufacturer of commercial aircraft, with Airbus Military covering tanker, transport and mission aircraft; Eurocopter as the world's largest helicopter supplier; Astrium, the European leader in space programs from Ariane to Galileo; and Cassidian as a provider of comprehensive and integral systems solutions for aerial, land, naval and civilian security applications. Through Cassidian, EADS is a major partner in the Eurofighter consortium as well as a key stakeholder in the missile systems provider MBDA. 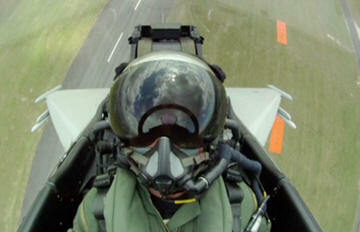 In 2009, the EADS generated revenues of €42.82 billion and employed 119,500 personnel. EADS was formed on 10 July 2000 by the merger of Aérospatiale-Matra, DaimlerChrysler Aerospace AG (DASA), and Construcciones Aeronáuticas SA (CASA). Overall, the company develops and markets civil and military aircraft, as well as communications systems, missiles, space rockets, satellites, and related systems.